Iron (Fe) homeostasis control is important for both pathogen and the host. During infection, the host reduces the access of microorganisms to iron, however, studies have shown that virulent pathogens are capable to sequester Fe from host proteins, and establish the infection. M. abscessus subsp. massiliense (Mycma), that is resistant to most drugs used against tuberculosis, was responsible for outbreaks around the world showing increased virulence when compared to other rapidly growing mycobacteria. 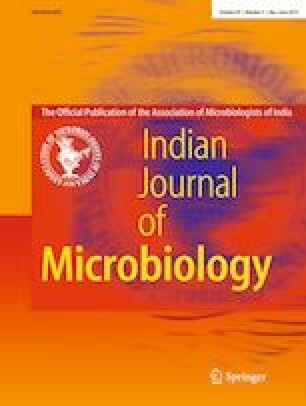 The goal of this study was to determine whether Mycma produce siderophores and if the mycma_1113 gene expression, a putative homolog of M. tuberculosis mbtB gene located in the mbt gene cluster, is related to the synthesis of these molecules. For that, the effect of different iron concentrations on the growth of Mycma, the expression of mycma_1113 gene, and the production of siderophores was evaluated in vitro and in vivo. It is shown that Mycma produce siderophores under iron deprivation conditions and mycma_1113 gene expression was influenced by iron availability. The mycma_1113 gene expression was also increased after macrophage or in vivo infection indicating that mycobactin synthesis by Mycma could participate in the Fe sequestration from the host during infection. In conclusion, we show that Mycma produces siderophores under iron deprivation conditions and that the mycma_1113 gene is involved in this process, furthermore, this gene expression is induced during infection. The authors are thankful for Dr. Célia Maria de Almeida Soares from University Federal of Goiás for her laboratory support with the experimental procedures for the O-CAS. The authors would like to thank FAPEG (20121026700048; 201310267000469), CNPq (307186/2013-0; 303675/2015-2), and CAPES Brazilian Agencies for the financial support.